The third prototype of Russian fighter aircraft next generation T-50 ready to fly in the near future. Russia’s third prototype Sukhoi T-50 fifth generation fighter will be ready to take to the skies in the near future, a military industry source said on Thursday. “It will fly when the designers are absolutely confident in their product,” the source said. The assembly of the fourth fighter is “in the final stages of completion,” he added. 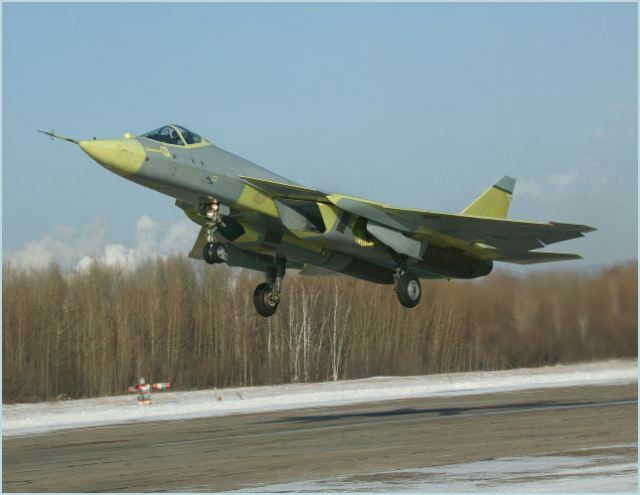 The T-50 made its maiden flight in January and two prototypes have since been undergoing flight tests. The T-50, developed under the program PAK FA (Future Aviation System for Tactical Air Force) at the Sukhoi OKB, is Russia's first new major warplane designed since the fall of the Soviet Union. It is expected to enter service in 2016.